When building a fantasy setting, it’s important to consider the distribution of resources across the world. This is true no matter what technology level you go with, but it’s especially important in lower-tech settings, because people will have a much harder time synthesizing any resources they don’t have close at hand. Authors are usually good at considering the shiny resources like gold and silver or the iron needed for making the much beloved suits of plate mail, but those are only a few of the resources that shape civilization. If you really want to bring your world alive, consider other resources that are just as vital but often overlooked. More of these exist than can be counted, but I’ll give you a head start with five that are both extremely important and rarely discussed in fiction. Nowadays we don’t tend to think about salt very much because it is so readily available. 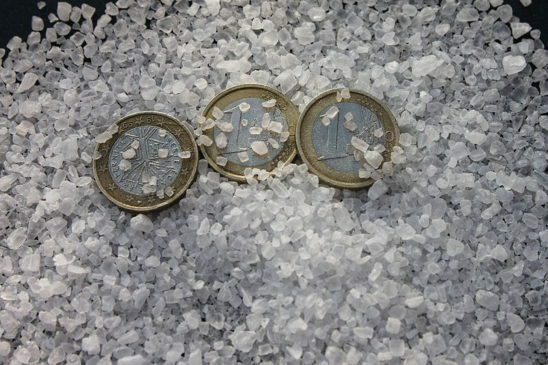 In winter we might get annoyed by how salted roads make our cars rust, and some of you have probably heard that “salary” comes from the old Latin word for “salt,” but it’s easy to forget how vital salt is. For one thing, people die without salt. More specifically, people die without sodium, which is one half of the sodium-chloride bond that makes up salt. Sodium deficiency leads to all kind of nasty symptoms – like seizures and loss of muscle control, such fun! Salt is also an important preservative in settings without reliable refrigeration because it dries food out, slowing the growth of bacteria. * Finally, salt tastes good. Never underestimate how much humans will do for something that tastes good. The salt trade has always been an important facet of the global economy, all the way back to when humans first figured out they could exchange one commodity for another. Civilizations without ready access to salt will pay a premium for it, largely because they have no other choice. At the same time, areas with rich salt deposits will be extremely valuable, just the sort of place two rival countries might go to war over. Once war has started, denying the enemy access to salt will be a common tactic. It’s hard for the other guy’s soldiers to fight when they’re suffering all the symptoms of sodium deficiency. And if the belligerents are feeling particularly nasty, they can sow salt into the enemy’s fields to destroy food production. This won’t render land unusable forever, because salt will eventually wash out of the soil, but it can certainly ruin harvests. At first glance, pepper looks like salt’s less useful cousin. After all, humans don’t need pepper to live, and it doesn’t have any preservative qualities; it just tastes good. * But oh how important that taste is. We have ready access to most spices these days, but at many points in history, the pepper shaker represented an incredible luxury. Pepper is also much harder to come by than salt. It only grows in very warm, tropical climates, and there’s no way to mine it out of the ground. 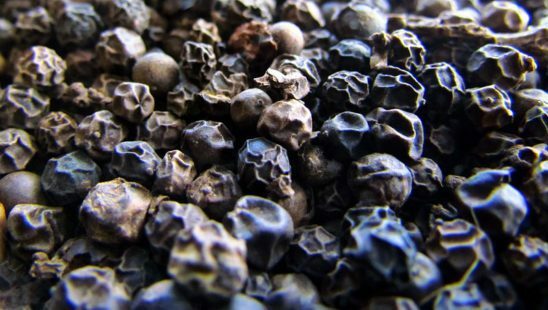 * In real history, pepper production was limited even further because the piper nigrum plant, which peppercorns are harvested from, is native to only a small area of southern India. If something similar happens in your setting, then the people who live wherever pepper naturally grows won’t be eager to see it spread. They’ll recognize the value of controlling the production of this spicy goodness and want to keep it for themselves. If your setting is anything like the real world, then demand for pepper will be incredibly high. First it will only be a luxury for the rich, but the moment regular people get their hands on it, they won’t be able to get enough. At first, this will mean long trade routes, with merchants able to set their own prices. Commerce-based civilizations will rise and fall on the availability of pepper, and people will go to extreme lengths to find new trade routes. Pepper will also serve as motivation for conquest. Whenever you have a resource in such high demand that can only be produced in a few areas, the powerful will seek to control it. Pepper-hungry nations outside the growing zone will look to their spice-rich neighbors and wonder if a little bloody war is such a high price to pay for that black powder that makes week-old mutton edible. Editor’s Note: This post originally contained the myth that pepper was used to cover up the taste of rotting meet. It was never actually used for that. No, not that kind of tin. 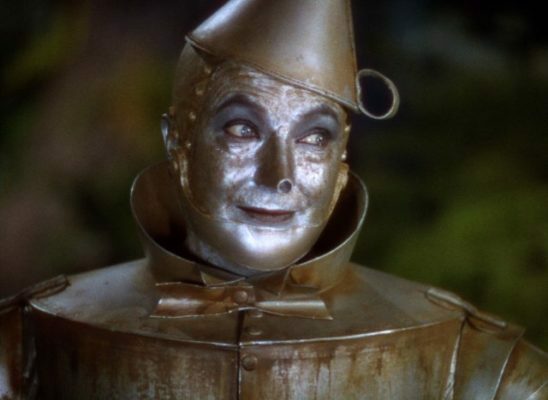 As metals go, tin isn’t very charismatic. It isn’t shiny, and there aren’t any vital tools made primarily from tin. Even tin cans are mostly steel. But when clever metalsmiths in your setting mix tin together with copper in the right ratios, they’ll get something new: bronze. Bronze is incredibly useful to low-tech civilizations. Iron requires fairly advanced technology to smith, but bronze has a relatively low melting point and is easy to shape. It was used for nearly everything, from cooking pots to swords. There’s a reason it was called the Bronze Age, after all. While tin is only part of what makes bronze,* it is by far the rarest component. Copper is relatively easy to find, but it’s not much use without tin. As with other resources, this means bronze-dependent civilizations will build highly advanced trade networks to acquire tin. But this unassuming metal adds a new wrinkle: what happens if it runs out? Because of tin’s scarcity, shortages are a real possibility. This can be a huge problem for a civilization that’s already become dependent on bronze. Imagine what happens in your Bronze Age setting when the tin mines and supply routes dry up. Everyone uses bronze, and now that metal is impossible to replace. * At first, people will try to make their tools last longer, and then they’ll move on to recycling old bronze. But if those measures aren’t enough, another country’s stockpile of bronze will start to look really tempting. If a tin scarcity is bad enough, and the technology to smith iron isn’t available, it could even cause the collapse of a Bronze Age civilization. Remember that next time you need a reason for the apocalypse to visit your setting. While not as central to American culture as coffee, tea is by far the world’s most popular drink besides water, and it’s not hard to see why. Tea is delicious,* comes in nearly infinite varieties, and has caffeine. Caffeine is readily available to us now, but there was a time when a drug that could give us a little more energy in the face of fatigue was considered magical. 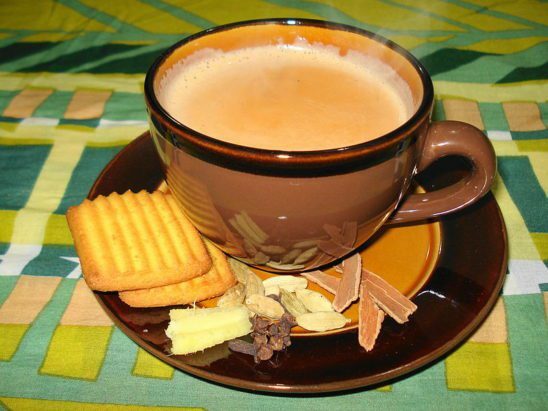 Another benefit of tea is that people who drink tea are more likely to boil their water, reducing the spread of disease. Like pepper, tea is only native to a few places in the real world. More than that, tea cultivation is a complex and difficult craft. The wild tea plant is nothing like the beverage we enjoy today, and methods of turning raw leaves into a tasty drink have evolved tremendously over the centuries. This proved to be a problem when Europe, especially Britain, couldn’t get enough Chinese tea. The British were drinking so much tea that they were quickly running out of silver to pay for it with. Tea is so valuable that it’s often used as currency. When dried and pressed into bricks, tea will last a long time, and it is easy to divide into smaller denominations by carving slices off the brick. And because literally everyone in the world likes tea, merchants can always be sure of its value. So whether the people in your setting are only just discovering tea or they’ve been guzzling down the stuff for centuries, keep in mind all the factors that go into each morning cup. 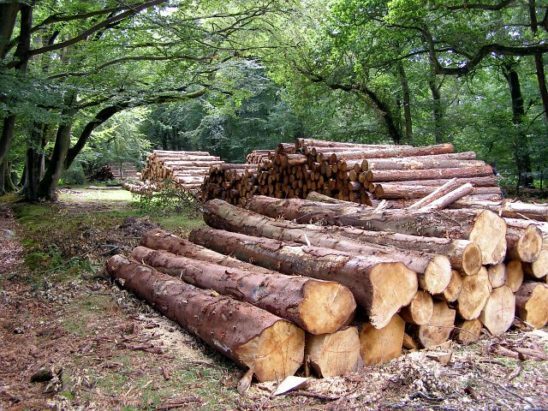 Wood literally grows on trees, so how important can it be? Sure, we use it to build houses, but trees are everywhere, so that doesn’t sound very important. But you see, it turns out that different kinds of trees produce lumber that’s useful for different products. Take the English longbow. * While lumber of all types is used to make bows, this particular type of bow is best made with yew wood. Even though yew is native to England, there often wasn’t enough to meet the demand, as the longbow was a powerful weapon of war. If England hadn’t had access to trade networks across Europe, they might not have gotten the yew they needed to make the longbows that were such an advantage in the Hundred Years War against France. Ship building is another area where access to timber becomes vital. To build ships, particularly sailing ships, you need a lot of wood, and it needs to be sturdy if you don’t want the ship to fall apart around you. Lumber that is used for ships also has to resist moisture, for obvious reasons. Historically, teak was often the lumber of choice to build ships, and seafaring powers launched wars to secure access to teak. Beyond the quality of the lumber, quantity was a problem as well. A single warship could take hundreds of acres worth of timber to build. When wooden navies went to war, replacing sunken ships required even more lumber, and the only way to get that lumber was often to take it from neighbors. You can guess how easy that made it to stop wars from spreading. Timber will be even more important if your story is set somewhere without ready access to brick or stone. Structures of all kinds will need to be built from wood, which significantly increases the chances of massive fires. Places where wood is the primary building material will also have very few old ruins, because wooden buildings just don’t last that long when they fall into disuse. These five are just a few of the valuable resources that writers rarely think about. To list all of them is probably impossible, but this should get you started. While you don’t want your setting to come across like an accountant’s list of commodities, thinking about what resources drive your civilizations can help them become more lifelike. Shiny metals and glittering gems get enough attention already, so make your setting stand out by focusing on resources that are just as vital but get less appreciation. Of course, people started using salt to preserve food long before they knew what bacteria were. That’s where your table salt probably comes from. Well, to most people. My spice tolerance is embarrassingly low. Which is probably a good thing. Can you imagine all the sneezing? Most of the time, smiths would also add arsenic or other materials. Or at least much harder. Commodities rarely disappear all at once. Says the blogger with a mug of tea on his desk. Because drug wars are more fun when backed by a globe-spanning empire! Also called the Welsh longbow, but the Welsh never get the credit they deserve. Funny thing i was just watching this video about the Dutch East India Company control over pepper trade and how the company -created in 1601- was pretty much a state within a state (they had an armada and an army of their own) with the sole goal of controlling the entire pepper trade in the world (which they did for some time to the determent of the locals in Indonesia and even British traders). It’s truly surely surprising to see so much violence and struggle over something like pepper, but it shows how scary and powerful a corporation can be if they have a the money and military power of a state and none of limitations and safeguards that prevent abuse of power. For those who want to watch the full video it’s from the Crash Course series. Also i think Gandhi’s revolution had something called the Salt March to oppose the British monopoly over India’s salt production. So yeah, history shows that even salt and pepper can be a very big deal and more than enough reason for people and nations to fight over. I’ve given some thought to these resources, myself. Salt: In my Changeling chronicle, Buena Vista, built on space age dreams of wondrous technology, is ironically home to a lot of “boring but practical” innovations, one of which is the world’s most energy efficient desalinization plant. Every once in a while, its workers find that all the salt they extract from the water suddenly vanishes. Why? Some hobgoblins didn’t get the memo that salt is now commonplace in the human world and saw it as a poorly guarded treasure ripe for a heist. Pepper: Star Trek: Enterprise had one really good moment for me. The ship needs to trade for something vital (I forget what) and they’re far away from Earth or other friendly ports. Tripp shows up at the local marketplace with a briefcase. “On my planet, wars were fought over these.” The briefcase is full of Earth spices when he opens it. They’re sufficiently exotic to the region to be valuable trade goods for one alien merchant. He was particularly impressed with black pepper. Timber: Had one island setting I mentioned elsewhere, ruled by the immortal Storm Lord who keeps the populace placating him. One of the benefits to his iron rule is that he’s very strict about regulating resources over the long term, including timber. Without him, the archipelago would have suffered deforestation like Easter Island. Kind of a “trains run on time” dictator. I think I remember that Storm Lord … the guy who claims the regular storms are coming because he’s in a bad mood, so the islanders have to be very nice to him. Yes, all of those wares actually have sparked wars. There’s also a fairy tale here in Germany, not sure whether it’s also known elsewhere, called The Salt Prince. In it, one of the three daughters of a very vain and arrogant king falls in love with the prince of an underworld kingdom which controls all of the minerals and so on found below ground. After her father curses her for failing to properly express her love (her older sisters say they love their father as much as gold and gemstones, she says she loves him as much as salt), she is cast out. In reaction to that, the prince’s father curses the kingdom so that all salt brought there turns to gold. At first, everyone is happy, but soon they realize how much they need salt and the kingdom empties as the inhabitants flee. You see, even salt brought in from other kingdoms turns to gold the moment it passes the borders. After a long and strenuous journey, the princess is reunited with the prince and the curse is lifted as they return to her father’s kingdom. It’s a strong story about the worth of salt, especially in medieval societies. Yup, that’s my Storm Lord antagonist. The Salt Prince: I’m familiar with it. Spent this summer reading the Grimm fairy tales, and that was among them. Version I had the princess phrase it as “Even the best food is tasteless without salt, so I love you as I love salt.” Aside from the raw necessity, salt also tends to enhance a lot of flavors by absorbing water and thus concentrating the solutions containing flavored molecules. Salt to Gold: Watched a documentary a while back that posited that the Conquistadors actually did find El Dorado, but it just didn’t live up to expectations: They had gold they ceremonially threw away, not because it was commonplace there, but because they had a lot of salt they could trade for gold from their neighbors. Yes, salt used to be so expensive you could easily trade it for gold, if you had enough salt. 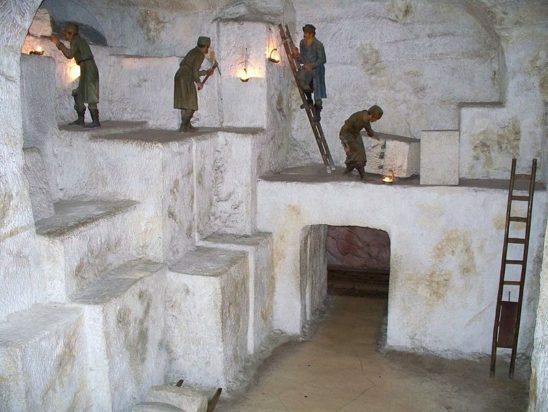 Whole cities and kingdoms grew rich, because they owned salt mines. In addition, to point out something Rincewind says in one of the Discworld novels, gold only has a value, because society gives it one. Salt (like the potatoes he mentions) has a worth by itself, because it’s useful and we need it for our bodies. As he puts it, if you’re alone on a deserted island, gold has no value, but a bag of potatoes will always be a bag of potatoes. Salt will always be a spice and something you can use to preserve foods. Excellent article. You may consider reading the truly inspiring book, Salt: A World History by Mark Kurlansky. Wonderful historical look at the commodity. Another resource to consider is horses. It wasn’t as big a deal in the temperate climates where most of our fantasy/historical stories are set, but the import of horses was extremely important in the history of India. The various turkic/mongol empires that conquered and reconquered northern India for most of it’s history were very dependent on horses for their military power but since the climate of India was so hostile to horses they needed to constantly import new stocks from their ancestral homelands in Central Asia. For long periods of history prior to the opening of the transatlantic trade India was the source of almost all of the world’s important luxury items- spices, gems, precious metals- and massive numbers of horses were virtually their only import. To go along with Hunter-Wolf I’ll link to this series about the Opium Wars in China which started because England was buying so much tea and paying for it in silver that a major part of their economy was effectively controlled by a “heathen” country on the other side of Creation. To the Brits, it’s a situation they cannot allow to continue. This is a very good post, with one exception. People have never used spices to cover up rotting meat. Eating rotting meat is a good way to get ptomaine poisoning, among other fun consequences. And there are plenty of ways of preserving meat without refrigeration: pickling, salting, smoking, drying. In some countries, the rich even had a form of ‘refrigeration’, namely ice-houses. No, the reason why people like spice is because people like variety, and interesting tastes. And possibly because being able to afford spices was a status symbol. You’ve never been to my jr. high school then. Right you are. That’ll teach me to put something in an article about history without consulting Cousin Google. According to Arrival (I don’t know if it’s really true), the Sanskrit word for war translates literally as “a desire for more cows.” It certainly wouldn’t be the only culture to consider cattle worth fighting over. (Is there any chance for a “five more” article? It’s a fascinating subject). If you include ‘land to keep the cattle on’ into the battle for cows, I’m pretty certain a lot of early cultures would fight over it. Guaranteed food is a good motivation for battle. A “five more” article would be highly appreciated.